so you wanna be a star 24 carat disco gold from 1980 right here. mtume, led by legendary jazz percussionist and all-round musical visionary james mtume had a number of massive hits and can count quite a few classics within their repertoire ( juicy fruit anyone?). this flawlessly arranged, funk drenched jam speaks on the dangers of living life too fast and relying on those who can t be trusted. remember, this was the beginning of the 1980s, the disco era had began to fade amidst the drug hazed excesses of the previous decade, while the music continued forging it s path skyward with tremendous records like this one. so you wanna really has a message and that s not surprising considering it has one of the most underrated production teams behind it in the shape of mtume / lucas. a true gem of the post-disco era. essential and rare. 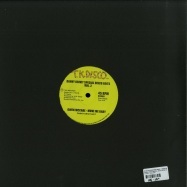 this repress of the original epic promo from 1980 is backed with a brand new re-edit from one of nyc s disco kings mr.k aka danny krivit. with almost half a century spent behind the turntables in nyc and beyond he surely understands records like so you wanna be a star intrinsically, he was, after all, there when it all happened! this classic has been legally reissued by above board distribution in conjunction with the legal rights holders sony music entertainment. 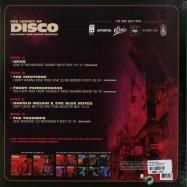 this high quality repress features original epic label disco 12inch artwork and has been remastered from sonys original sources by optimum mastering, bristol uk. alicia myers is in peak form on a new release from most excellent unlimited and ace beat, right here right now (hallelujah anyway). 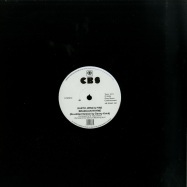 originally issued by ace beat in 2015, this collaboration between the new jersey house label whose early 90s releases are still considered gospel house masterpieces and meu marks the first time the track will see vinyl release. making its debut are danny krivit s edit of the original derrick ricky nelson mix and an exciting remix from ricky, the song s composer, and danny, who championed the song from its first appearance and has featured it ever since in his sets. the connection between alicia myers and danny krivit goes back much farther than most people know. 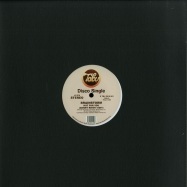 in fact, her breakout 1981 single i want to thank you,among the most beloved dance music classics of all time, was initially broken by danny when he played the promo at the paradise garage, catching larry levan s ear. 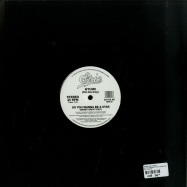 when influential radio dj frankie crocker subsequently heard it featured in levan s sets, he immediately programmed it on wbls, new york s premier black fm station, and the song s legacy was assured. much like i want to thank you, right here right now perfectly blends an inspiring, gospel lyric with an impassioned, soulful vocal performance and club-ready instrumental backing featuring a muscular piano hook. the uplifting sentiment has already proven its power to elevate and unite dance floors in the communal expressions of joy that are central to the most soulful dance experiences and the time is right to spread the feeling! 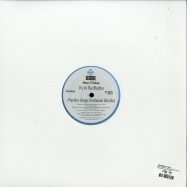 this exclusive release will be showcased on twelve-inch vinyl with a precise replication of the classic 90s ace beat label. music with a message! 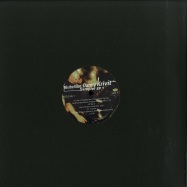 gut ein jahr nach veröffentlichung ihres brillianten debütalbums the meeting legacy kehrt emilie nana mit einer atemberaubenden neuen ep auf compost records zurück. 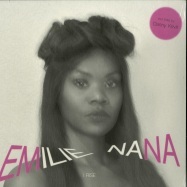 „i rise ist eine empowerment-hymne im besten sinne uplifting, Überwältigend und Über einem hypnotisch deepen groove schwebend zieht uns emilie nana mit ihren vocals in den bann. diesem bann konnte auch new yorks legendäres nightlife mastermind danny krivit nicht wiederstehen und steuert für die platte zwei edits bei, die seine unverwechselbare handsschrift tragen. 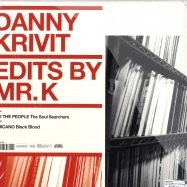 danny krivit has been holding this edit release for a special occasion. now, his secret garage classic is revealed. remastered specifically for vinyl and sound quality, tested and approved by danny with shorty’s award winning sbs system in ny. 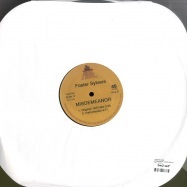 this is another dancefloor hit which danny has been playing for a long time, people keep asking him -what is it?- you can get it now on vinyl only! joey took out the vocal and turned it into a instrumental disco track. it makes you dance from the beginning and keeps building till dancers lose their minds!! the word classic gets thrown around a lot these days, often abused and attached to things that dont deserve the tag. 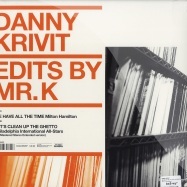 nyc disco and house legend danny krivit has 45 years in the dj game under his belt and having played endless gigs all over the world during that time it s safe to say the original mr.k knows exactly what he s doing when it comes to this dj thing! pair danny with his long time collaborators and family king street sounds and you re having a party! 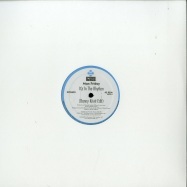 this is exactly what happened in 2001 when the label asked him to contribute to their legendary mix the vibe series where top flight selectors like danny get to dig deep and produce a fresh dj mix for the label. now, you know the quality control is going to be sky-high on a project like this and this limited dj sampler featuring tracks from the compilation proves just that! all featured tracks have been fully licensed from king street, remastered and reissued with %100 involvement from the label. 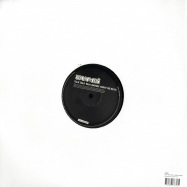 essential house music for the seasoned heads and neophytes alike! absolutely stellar proto-disco jam from 1975 on the minute shield label, nassau countys hokis pokis may not be the most well known of funk / soul outfits but that doesnt mean they groove any less than any of the big guns! 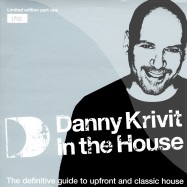 ltd 50 % deal - nyc disco and house legend danny krivit has 45 years in the dj game under his belt and having played endless gigs all over the world during that time it s safe to say the original mr.k knows exactly what he s doing when it comes to this dj thing! pair danny with his long time collaborators and family king street sounds and you re having a party! 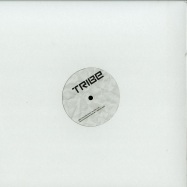 this is exactly what happened in 2001 when the label asked him to contribute to their legendary mix the vibe series where top flight selectors like danny get to dig deep and produce a fresh dj mix for the label. 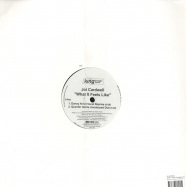 now, you know the quality control is going to be sky-high on a project like this and this limited dj sampler featuring tracks from the compilation proves just that! 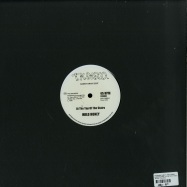 featuring tracks and exclusive mixes from the likes of kerri chandler, blaze, chez damier and ron trent this ep more than deserves a place on your record shelf or in your dj bag! all featured tracks have been fully licensed from king street, remastered and reissued with %100 involvement from the label. 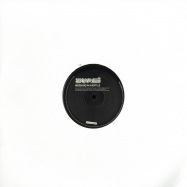 essential house music for the seasoned heads and neophytes alike! part two of a new salsoul re-edits series launches with four classic edits for rsd from seminal edit king danny krivit. with over 45 years behind the turntables, if anyone knows what little extra touch a record needs to work on the dancefloor…its danny! 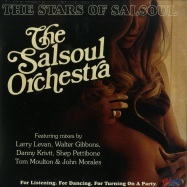 taking his editing skills to four classics from the salsoul vaults , danny delivers once again. 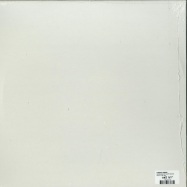 available on vinyl for the very first time. nyc disco legend danny krivit returns to the editing block on behalf of seminal miami disco powerhouse tk disco. with 45 years in the dj game under his belt and having played endless gigs all over the world during that time it s safe to say mr.k knows exactly what he s doing when it comes to the re-edit thing! 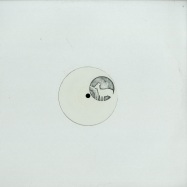 with unprecedented access to tk s vaults danny has been turning in some stellar reworkings as of late and the cuts included on this latest instalment keep the quality sky high! 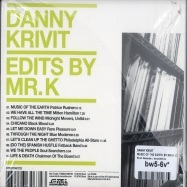 legendary nyc dj / editor danny krivits story in contemporary dance music is a long and storied one. dannys got to be one of the hardest working men behind the decks right now with an international rep and dj schedule truly befitting of his time spent making us dance over the last 45 (!) years. it makes perfect sense then, that one of the most seminal disco labels of all time would call upon mr. ks sharp editing skills when reappraising some of the jams from their extensive catalogue. 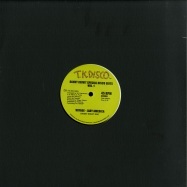 tk disco is the label in question here and they ve let danny loose on a pair of dance-floor burners that all disco heads will be familiar with. 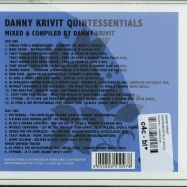 danny krivit s name has been synonymous with quality, underground dance music for many decades now. his roles as re-edit pioneer, legendary nyc disc jock and all around music obsessive have long been written about. 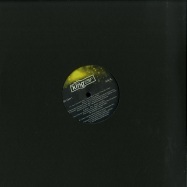 detroits brainstorm have achieved cult status as a group among underground disco, soul and boogie aficionados worldwide. hot for you lifted from their 3rd lp from 1979 has always been a huge record for the more discerning disco jocks, those who like to dig a little deeper to find the gems. 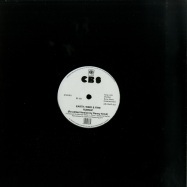 a real dancefloor burner that found favour with everyone from larry levan to daniele baldelli after it s original release. 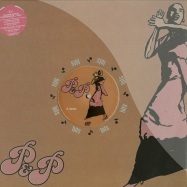 the same can be said for journey to the light, another anthemic slice of midtempo michigan soul that was hugely popular in london on its infamous -rare groove- scene, pirate radio stations and beyond. 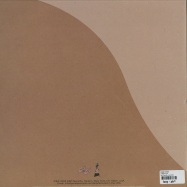 lifted from the bands second lp and oozing class journey is a stellar cut, truly essential! 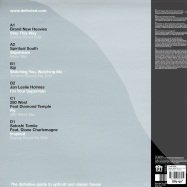 both of these tracks on one 12- already make this an essential release for any real soul head, but the fact that the versions featured here are private re-edits from one of the true masters of the game s private vaults makes it utterly unmissable. 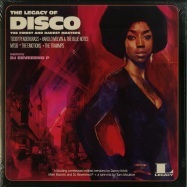 yes, thats right - danny krivit, disco royalty, a true pioneer and re-edit trailblazer adding his unique touch to these incredible pieces of music make this a particularly hot biscuit. 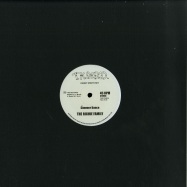 danny has kindly opened up his archive and in conjunction with tabu / demon music group brings us these amazing reworkings. 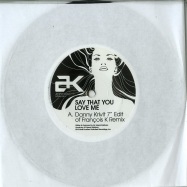 both tracks have been lovingly edited and tweaked by mr.k himself with dj s and dancers in mind. 100% legit! 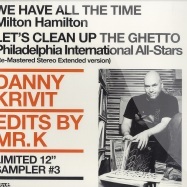 niversally recognized as a founding father of the disco edit, danny krivit took cleverly spliced reworks from the realm of one-off private pressings and carefully guarded reel-to-reels and put them in the hands of any dj savvy enough to seek out the mr. k name. 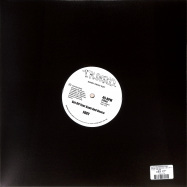 that single initial came to be an undisputed mark of quality, from sound and fidelity to usefulness on the decks. 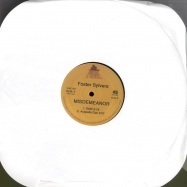 with this latest release, most excellent unlimited continues celebrating danny s 45th anniversary of djing with another 45-rpm pressing of two classic krivit edits, both appearing on 7-inch format for the first time. 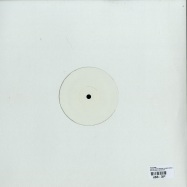 -happy song- takes a different tack, as danny focuses on a short percussion intro to the original mix—a soulful rock cut— and works it into a dj tool that thumpingly rattles the walls and uses successive crescendos to build tension and release, once again showing his mastery of the incendiary tribal build- up. 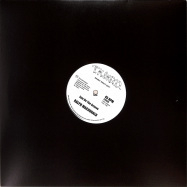 although there is a notorious 12-inch edit of -happy song- in mono, this pressing is the first time the song has appeared on 7-inch and in stereo. -erucu- was originally released on a soundtrack lp in 1974, and, despite being barely more than a minute in length, quickly became an essential part of many club jocks sets. danny s edit is a textbook example of the art of extending a mix, as he takes tiny segments of the bass-heavy original and teases them into a building, energetic, five-minute banger. 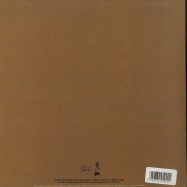 as always, this most excellent release will be pressed at the highest quality, and in limited quantities. throughout this landmark year of krivits auspicious career, look out for more in most excellent unlimited s series of sevens charting danny s trailblazing path through dance music, as well as special 45s-only sets mr. k will be adding to his already diverse repertoire. absolutely seminal danny krivit re-edit of garys gang * lets lovedance tonight*! 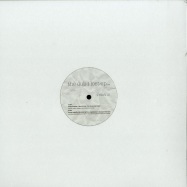 originally released on nurvous records a decade ago this finally sees the light of day again... original 12 inches go for $100 each on some marketplaces. re mastered for 2016 and released in conjunction with the original sam records. Queen Yahna "Aint It Time" (Original Mix)"
legendary new york dj danny krivit follows up his recent >edits by mr. k< release on strut with a new third 12 inch from the album featuring loud pressings of two of the exclusive edits featured on the album, milton hamiltons >we have all the time< and a new stereo, full length edit of philadelphia international all-stars social commentary classic, >lets clean up the ghetto<. limited to 1000 units worldwide, code for free digital download included. 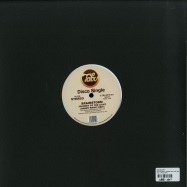 strut re-kindle their involvement with one of new yorks most revered djs and re-edit pioneers, danny krivit, with a fresh album of essential new, rare and classic re-works, past and present. 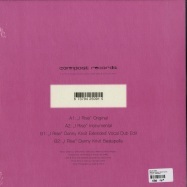 mp3 download code included. legendary disco don demis roussos comes back with a killer new album... and its a 1000% winner for sure, as the man raise to the chalenge in style. 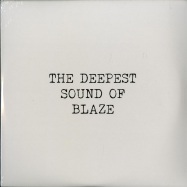 blues and soul tainted, with a voice to die for... heres the first extract in an amazing limited edition package 12inch in 2 parts. 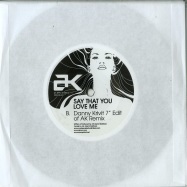 here is the first one including new york re edit unchallenged king danny krivits rework on the track.... taking it to a more live sounding, dancefloor friendly 60s soul... guaranteed track of this summer for sure around the world.... dont miss out. this version is edited by danny krivit in the purest analogue format. 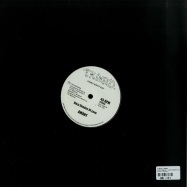 aks sound crosses over r&b, hip hop & house freely. she is a global citizen who can treat ny, tokyo and europe equally as her playgrounds. 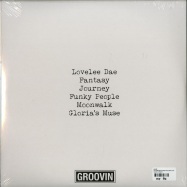 talk talk talk sets the tone for wunmis forthcoming album, a dynamite funky afro groove, new york dj legend danny krivit has been spinning this one since it emerged from the studio, and here contributes one of his coveted re-edits extending the groove to maximum effect!! 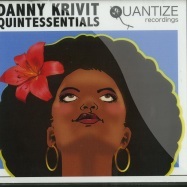 quantize recordings are proud to welcome legendary dj danny krivit to the label, with his hotly anticipated quintessential mix cd. one of the most respected & influential dj s on the planet for over 3 decades and synonymous with the globally renowned body & soul and of course his 718 sessions, danny s quintessential selection features his own handpicked selection of quantize favourites tightly knitted together over 2 cds in exquisite style. fusing both vocal & dubby sounds pioneered by the label, danny s selection includes tracks from artists such as john morales, director s cut (frankie knuckles & eric kupper), dj spen, kiko navarro, tracy hamlin, marc evans & host of other leading names from the house community. 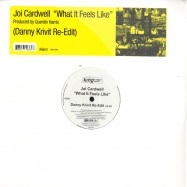 as an added bonus the release also features 2 brand new (and exclusive) unmixed re-edits from danny krivit himself providing a real personal touch - a must for collectors & house music lovers alike. 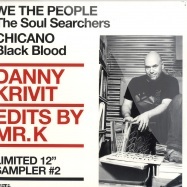 danny krivit celebrates 10 years of nyc 718 sessions... disco , house! 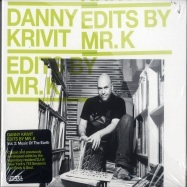 danny krivit edits by mr. k vol. 2 : music of the earth!clasic and previously unreleased edits by the legendary resident dj at new yorks 718 sessions and body & soul! 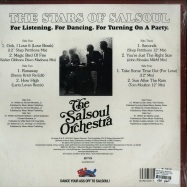 surely no other orchestra can claim the dancefloor kudos of these guys - the salsoul orchestra. 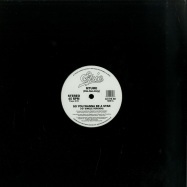 theyve literally played on, shaped, crafted and executed numerous classics since their inception in 1975. as salsoul records in-house band they were quite literally, instrumental, in the personality and sound of one of dance musics most famous and respected labels.